Finally this article is picked up! I mentioned it a few times already but no one seemed interested. Doubt it. It is usually contrasted with Sadeghi's stylometric analysis which concluded that the Quran had one author. Do you know of any scholar having commented on Sadeghi's method? commenting on it and I can imagine, as a consequence, rebutting it. Can you give me the reference? What is your own opinion? Unfortunately, I can't disclose the identity of the scholar in question. He will publish something in the near future if I am not mistaken. The paper is going to be uploaded on academia.edu. The critique is very good and interesting. Sadeghi's paper is not as watertight and conclusive as many people tend to assume. In any case my opinion is the result of logical reasoning from the sources and the informations we have. Logical reasoning as you call it here is influenced by people's opinion so it becomes an opinion. The Jews called the Arabs to their aid. The issue is that Sebeos is mistaken/lied : as already said the Arabs know that they are son of Ishmael since the 5th c. Sebeos knows it as well. Your reading of Sebeos is naive. As I said previously, Sebeos is not describing indoctrination here ; he is trying to make sense of what is going on and, as in the 614 capture of Jerusalem by the Persians, we see Jews marching with the Arab troops (in 614 it was with the PersIan ones). Moreover about the "alliance" the Jews half fail : "[the Jews] could not convince the entire mass of the people because their cults were different." It only means that ONLY SOME of the arabs sided with the Jews or more precisely allowed the Jews to join in, which is fine with my personal theory. 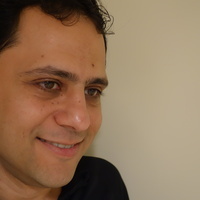 The writings of Sebeos were validated by cross checking with other sources and, when there were some potential misreading, it was possible to sort it out. This is what matters. Sebeos presents Arabs that he has presented in the first part of his account as the helpers of the Jews as now the leaders, and the Jews as the helpers. Why ? Because there is no Jewish army anywhere, the chiefs and the armies are Arabs. No one said there was a Jewish army nor do I buy into Gallez's theory but sources tell us that there were Jews in the Arab troops. Why the Arabs are jealous ? Because they are the sons of Ishmael. That they know since age and not by the Jews at that moment. They know they are the sons of Ishmael since ages, not that Jerusalem and the Temple Mount should be theirs. So, while taking over Jerusalem comes from the fact there is no Roman troop to stop them, building a place of prayer there is perfectly explained by Sebeos. By the way, Sebeos is the only one providing an explanation for this, the Quran doesn't because the Quran never say that the Arabs should take over Jerusalem. They are jealous because they are the masters of Jerusalem and, as this land is theirs too as reminded by the Jews, then why share it with the Jews, why not also claim their direct heritage with Abraham ? Did Abraham and Ismael build this place in Jerusalem ? The answer is no so it cannot explain the place of prayer on the Temple Mount. It would explain a place of prayer in the Sinai desert. I think it comes from Quranic texts. It seems logical. It is your opinion, which is fine ; I happen to have a different one and I don't want to ressort to "logic" but to facts though I probably fail to do it all the time. With the PERF 558 you’re wrong. A (very) specific Quranic word are written down in Egypt by Arabs who has necessarily pass via Palestine. Your assumption would be fine if you could prove that the use of this term in the Quran predates PERF 558. Unless I am wrong, this is not the case ; it cannot be proven. You’re right about the prayer. The Sunna was not written and those people were not muslim. Later muslim writers just wrote this stuff to hide the fact that there was no muslim as recounted by islamic tradition. So they blamed it on something else, like they blamed Yazid the 1st because he was a christian. Is it still the Jews responsible for building those mosques ? As I already said, Anastasius the Sinaite is already mentionning synagogs of the Arabs before the islam conquest. We know from different reports that they worship different sacred places including one related to Abraham. Therefore, those places of prayers are nothing new nor explained by Quranic text. I do not think so. I hold that only chiefs and not all have some Quranic texts. Which corresponds to what one can observe about the C14 date of earliest manuscripts. The chiefs who don"t mention the Quran for 60 years or say to John the patriarch that they believe in the Torah ? You need to solve that contradiction for your theory to hold on. You haven't yet. simply because Arabs knew it before. It is the argument on which Sebeos build all his theory of an alliance suffice to read what he said. This is what you read but not what Sebeos said. The Arab invaders had different faiths, which explain the conflicting reports about them following the Torah or them being pagan or them being christian. I said it before but the conquest was not driven by, for example, the intent to conquer Jerusalem, but, and I also said it, it doesn't mean that some of those people didn't have that intent. And that is exactly what did happen. To be honest, I am not convinced when he gives arguments that look like Gallez's because that goes beyond what we can expect from his mathematical analysis. Otherwise, that does sound ok but no one has tried to challenge or confirm his review with his method, which is too bad because this is an innovative approach. Some conclusions are obviously wrong (the late dating of certain parts of the Quran) after C14 results. Be careful here ; it is not because you have quranic extrats dated from a given time that it was not possible to add or change words after the date of those texts unless you can prove those words were already were in earlier manuscripts. I am really waiting for Project Coranicum results for this. You only need to read surah 7 and 38 about the ibliss rebellion to notice that you have the same event told in 2 different ways , which means that the authors cannot be just one person. And there are 2 other suras of the Quran describing that event in also different ways. really? did he say that in his work?? I guess he goes around in circles in cycles .. Yes you are right Mahgraye .,, he does say that " his work proves that the Qur ān has one author"
I verify a chronology in which seven groups of passages represent consecutive phases. A proposed chronology is veriﬁed if independent markers of style vary over its phases in a smooth fashion.Four markers of style follow smooth trajectories over the seven phases: Te ﬁrst is average verse length. Te second encompasses the 28 most common morphemes in the Qurān. well I could excuse his publication as it is 8 year old., and he was following his 19ers org.. Rahd Khalifa .. that UCLA biochemist guru..
Any way we all change with time and in fact I Used to think like that .. The Meccan Verses and Madinan verses ... Kabba ..Zama..Zam.. Prophet of Islam Muhammad .. etc..etc...but we move on with time as more & more facts about early Islam are explored . ....and what is YOUR OPINION ON HIS WORK dear Mahgraye? Open a topic to talk epistemology. Your reading of Sebeos is naive. Because you do not get the methodology I use for this specific topic of the origins of Islam. It means that I'd use another one for another topic. As I said previously, Sebeos is not describing indoctrination here ; he is trying to make sense of what is going on and, as in the 614 capture of Jerusalem by the Persians, we see Jews marching with the Arab troops (in 614 it was with the PersIan ones). That the Jews were with the Persians in 614 so what? Did they try to rebuild the Temple when they were in charge of the city? No attestation. Did the Persians would have been agree? I'm not so sure of that, that is why (maybe) they did not do it. Moreover Persians give the city to the Christians 2/6years later. One historical affirmation is not enough (for me). Siding with someone is not to be sided by someone. Who sides who? When I read Sebeos I see Jews sided by and then the contrary. Of course, he is obliged to say the reality, namely that the conquerors are Arabs, not Jews. When I read Sebeos, I have at once a problem : he recounts the fable of the Jews that teach the Arabs that they are the son of Ishmael in the 7th c. And he build his historical alliance theory on this fable (only on this... there's nothing else) to explain what will happen later (according to him) that the Jews, allied with Arabs (rather the inverse) just being taught that they are the son of Ishmael , conquest Jerusalem Jews rebuild the Temple and then were chased by the Arabs. According to him because other sources (again) do not tell that the house of prayer on the Temple Mount was build by the Jews. The Sebeos staging of the Jews and Arabs collaborating, and the Jews to be the seminal origin and responsible of the Arab takeover to get rid of the Romans in Jerusalem to (at last) rebuild the Temple holds only by his affirmation of the Jews that teach the Arabs that they are the son of Ishmael in the 7th c. If not, one does not understand how he introduces the Jews in the Arab take over. He need this story ; unfortunately it is inexact. Therefore, it means that the Arabs do their stuff on their own, conquest Jerusalem and build their stuff. Now that the Jews in Jerusalem hoped that they could built their own stuff : of course. Nobody denies that. Apart Sebeos, who say that the Jews build something? The Jews. No one else. cf. Gallez (1st ed, vol 1, n. 798, p.467-9). On the other hand, that for the Jews, Arabs were objective allies, like the Persians were in 614 for the Jews inside Jerusalem (and some sources say that Jews were also with the Persians), nobody denies that. Especially not me. Of course they rejoice of the taking over of the Orient. As with the Persians in 614. Nobody denies that. That is why "Umar" is portrayed more or less as the Messiah. What is a Messiah for the Jews? Check the AT. The date writings of Sebeos are dubious that is why it is called in the field Pseudo Sebeos. meaning that it is attributed to him because there is a doubt about the dating. He knows very much more things than his 7th. c contemporaries. And this is not possible because it is outside logical. 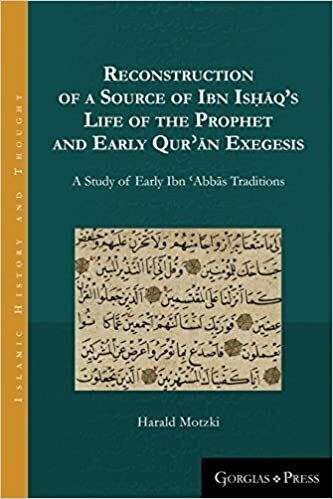 I consider that Sebeos dates of the last quarter of 8th c. beginning 9th c. Contemporary to the Chronicle of Zuq­nin/Chronicle of Pseudo-Dionysius for example where all is said with details about Muhammad like in Sebeos is said. Furthermore what affirms Sebeos about his Arab history is corroborated by anything. No Jews active build on the Temple Mount. I repeat : of course that for the Jews, Arabs were objective allies. Like the Persians were in 614 for the Jews inside Jerusalem (and some sources say that Jews were also with the Persians outside). Nobody denies that. Of course they rejoice of the taking over of the Orient. As with the Persians in 614. Nobody denies that. Moreover I'm pretty sure that the Jews saw this as an divine intervention to free them from the Romans (in 614 and 637). Are the Jews responsible of the Persian attack of 602/3 against the Romans, since your consider that they are responsible of the Arab attack in the 630's? We could say the same about the Persians ; they free Israel from the Romans in 614.
but sources tell us that there were Jews in the Arab troops. As I'm not omniscient, it is possible that I've missed them. What are they? They know they are the sons of Ishmael since ages, not that Jerusalem and the Temple Mount should be theirs. Why not? As heirs of Abraham? It's seems to me possible. So, while taking over Jerusalem comes from the fact there is no Roman troop to stop them, building a place of prayer there is perfectly explained by Sebeos. Except that they do not need the Jews to build a place of prayer, as they are already sons of Ishmael since ages. So what? Sebeos want to put the Jews in accusation for all what has happened ; he need them to stage them as the teacher of the Arabs about their target : Jerusalem. But that does not work, because it is not the Jews of Edessa in the 7th c. who taught the Arabs, it is a non historical fact. The Jews as such have no responsibility in the conquest and the building in the Temple Mount. Sebeos is obliged to invent a fable (Edessa, sons of Ishmael) to justify his introduction of the Jews that he considers as responsible for the conquest. But a conjunction of interests is what happened . As I already said : of course that for the Jews, Arabs were objective allies. Like the Persians were in 614 inside Jerusalem (and some sources say that Jews were also with the Persians outside). Nobody denies that. Of course they rejoice of the taking over of the Orient. As with the Persians in 614. Nobody denies that. Nope they are not responsible. As they are not responsible of the Arab-Persian war because there is an excellent reason to this war. Each time there is another sourced reason to explain the event described about the conquest where Sebeos involved the Jews. By the way, Sebeos is the only one providing an explanation for this, the Quran doesn't because the Quran never say that the Arabs should take over Jerusalem. to understand that Ishmael (The Arabs ) is equally entitled to re build the "House" where it always was : the Temple Mount. Arabs build a house of prayer. No Jews were involved apart guiding them toward the Mount, some hoping without doubt that they will rebuild the Temple for them. The opportunity makes the thief as one knows that Jerusalem was not an objective for the Arabs. They arrived 7 years after 630. I think that being aware that they were the sons of Abraham via Ishmael is not enough for the leaders to build something there. Apart to be already conditioned to do it. Conditioning which does not comes from 7th c Jews as one have seen. Moreover it is not the Arabs who build according to the sources; it is commissioned people from Jerusalem by Arab orders. The orders are given by the leaders, it is not private Abdu, who commission anyone. Private Abdu, soldier of the Arabs since 10 years, whatever his beliefs, is commissioned to go praying there and conformism make the rest. As being outside the 9th Muslim narrative, it seems rather normal that they build something aiding by the passage of Q 2,127, sufficiently ambiguous to be understood as the possibility to be allowed to build a house of prayer as the descendants of Ishmael therefore Abraham. They are jealous because they are the masters of Jerusalem and, as this land is theirs too as reminded by the Jews, why share it with the Jews ? As the Jews did not build anything, according to most of the sources, Arabs were not jealous. All the Sebeos account is targeted against the Jews from a historical information he gives that it is them who give a genealogy to Arabs few years before the events of the conquest. Unfortunately for Sebeos one knows today that it is not few years before the events of the conquest and their arrival in Jerusalem that Arabs knew that "they were" the descendants of Ishmael therefore Abraham. It is (at least) since the middle of the 5th c. even the beginning of the 5th.c Then all the construction of Sebeos collapses as targeting the Jews as a deus ex machina of the lost of the Orient and especially Jerusalem. Did Abraham and Ismael build this place in Jerusalem ? Abraham therefore his descendants (including Ishmael) is said to have been asked by God to the Mōriyyā Mount to sacrifice Isaac traditionally located at the place known as the Mount of Temple. In a certain way it is then associated with the future(s) Temple(s) which will be build there (and nowhere else) The Quranic account seems a variation about this association. To make believe to Arabs that Abraham and his descendants (from the Ishmael side) therefore the Arabs as sons of Abraham via Ishmael are part of the covenant between God and humanity, it make believe that Ishmael was (more) involved than the Arabs had heard from Jewish and Christian stories where Ishmael disapear in the desert. The answer is no so it cannot explain the place of prayer on the Temple Mount. It would explain a place of prayer in the Sinai desert. Considering the time-lapse of the C14 radiocarbon analysis of ancient manuscripts it is probably the case. It is not an obscure military leader who has written or dictate to his scribe in 643 in Egypt "muhajirun" who have invented it and then come back to Palestine or elsewhere to include this word to the Quranic text.Nobody cannot proves this. But the probability that this very specific Quranic word is not invented by a commander in Egypt is much larger than he has invented it as you seem to state it because you have no other rationale explication of the presence of this word. The Quranic "basmala" is also used in the same papyri. This is exactly the same thing. You do not respond : who has built the mosques whereas people recite poems? Le Muséon 121 (1-2), 65-91. doi: 10.2143/MUS.121.1.2120502 - Tous droits réservés. © Le Muséon, 2008.
or them being pagan or them being christian. What means "pagans" in Christian writings at that time? Their suggestion: Isa was used in Southern Palestine/Negev "pre-Islam". Isa is the writing down of the oral version of the Aramaic Jesus. Marijn van Putten is not convinced by Dye and Kropp's paper. He considers it to be one of the better proposals, but still not convinced. Van Putten: does he say that? About the oral transmission? About their overall proposal. It is on Twitter. Have you read the paper? They refer to inscriptions Nevo found in the Negev. Does anyone have more info on these? See Gallez's website. I think it is a finding by Nevo. So did you read any of his books?? And I wonder his recent position on Muhammad "Prophet of Islam".. He was the doyen of Hadith Studies in the West and a great historian of early Islam. Yes, I am familiar with his work and the book you posted was his latest publication. The clip is of Jonathan Brown, another expert in Hadith Studies. Hmm... Yes.. He was a great Islamic Scholar of hadith,. But How about Quran?? and what was his opinion on Who Prophet of Islam was?? well let me hear more of that Jonathan Brown..
Anyways... I wonder what he thinks about that his own work now and what is YOUR OPINION ON HIS WORK, dear Mahgraye? It is a very technical paper that is simply beyond my grasp. I am simply not competent enough to criticize it. All I can say is that the criticism of it by the scholar I alluded to is very interesting and convincing. If anything, it shows that the paper is not as watertight as many assume. Another thing I can say is that I find the methodology to be too technocratic and thus misses the nuances of proper historical methods. For instance, Walter's paper also uses a scientific method from mathematics to reach the opposite of Sadeghi's conclusion. He wrote some articles on the Quran and one specifically refuting certain revisionist claims pertaining to specific hadiths on the compilation of the Quran. Not sure about specific opinions.